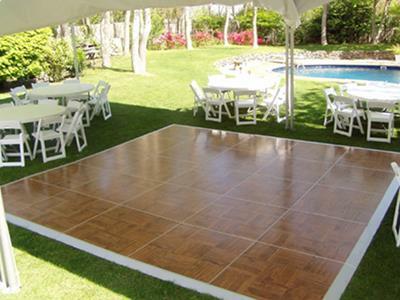 Perfect addition to any party and can be expanded to create a dance floor up to 20' x 20'. Price listed is for each 4' x 4' section and includes set up fee not delivery fee. * Please call us with any questions about our dance floor 4 foot x 4 foot section rentals in Corning and Bath, serving the Finger Lakes Region of New York.